What a weekend for UGA. The Bulldogs were clearly the better team on the field this past Saturday against the South Carolina Gamecocks, and recruits took notice. Several high-profile recruits were in attendance for the 52-20 win, and the AJC’s DawgNation.com staff caught up with a few of them to get their reactions on their visits. 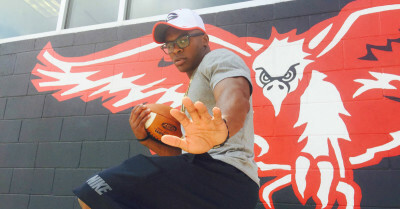 UGA already has a running back commit in Woodward Academy’s Elijah Holyfield, but that won’t stop the school from accepting the commitment of Devwah Whaley. Whaley, a 4-star running back from Beaumont, Texas, was on his official visit to UGA this past weekend, and he rated his trip a perfect 10. He also said this visit “complicates” things now. In this situation, him saying things are complicated right now is a good thing. On the other hand, if your significant other changes their Facebook dating status to “It’s complicated,” you may want to call them immediately. 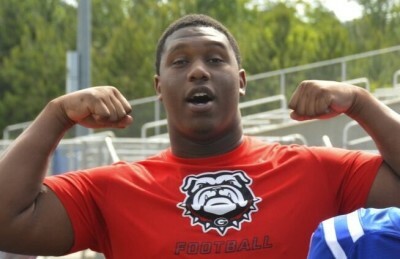 Whaley is also considering Oklahoma and Texas A&M, but UGA is right in the mix after this visit. It wouldn’t shock me if the Bulldogs land him when he silently commits in a couple of months. 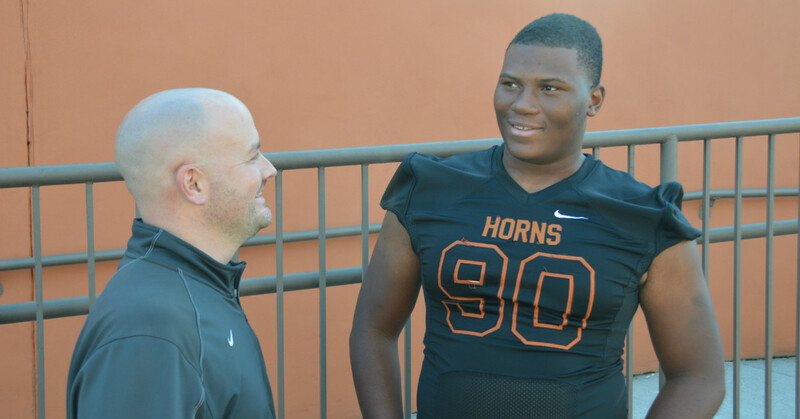 He will publicly announce his commitment on Jan. 2 at the Under Armour All-American game. Speaking of Elijah Holyfield, there was some unfortunate news with the UGA running back commit late Friday night. 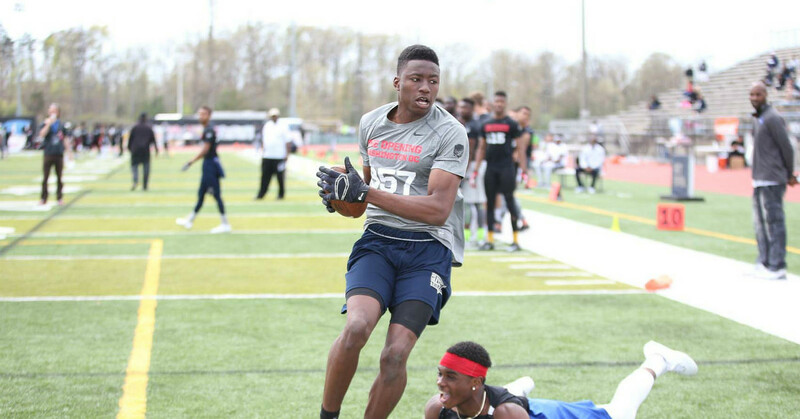 Holyfield, the 4-star from Woodward Academy, told DawgNation that he has a stress fracture in his left foot. That injury will sideline him for four to six weeks. What’s amazing about this injury is the fact that he played with the stress fracture for two games. Here’s his stat line from the games he played with the injury: 361 yards and six touchdowns. Oh, he also had turf toe on his right foot. He put up video game numbers with essentially two bad feet. That just shows you how talented of a running back the son of boxing legend Evander Holyfield is. He’ll also have the fight in him like his father to bounce back from the injury and come back 100 percent healthy. 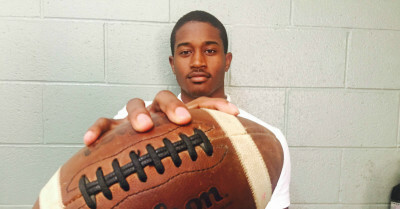 William Poole is one of UGA’s main targets in the 2017 class. The 5-star cornerback from Hapeville Charter has visited UGA multiple times before Saturday’s game, but this visit may have been the best one yet. Poole told DawgNation that he was left in amazement with the environment of Sanford Stadium. He believes the fans were a huge reason why UGA clobbered South Carolina. The 5-star corner is considered a UGA lean, and he gave us news on when he plans to release his top 10 list here. Greyson Lambert must have watched Jacob Eason’s last highlight video. Eason, the 5-star quarterback commit, threw a perfect game two Fridays ago, completing all 13 passes. Lambert, was one off of a perfect game, going 24-of-25 on Saturday against South Carolina. In this week’s Eason highlights, the quarterback wasn’t perfect, but he still put on a show. 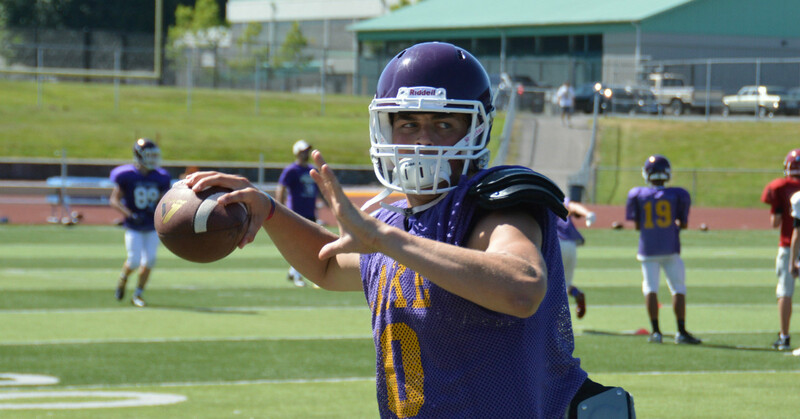 The future Bulldogs QB went 14-of-18 passing for 245 yards and three touchdowns. You can watch the highlights of the game here. Ever since news broke about UGA’s silent commit, fans have wondered if E.J. Price was the mystery man. 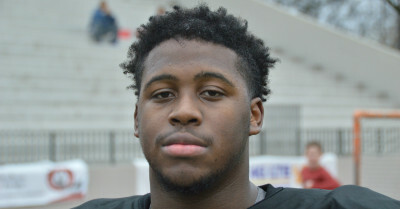 Price, who de-committed from UGA back in June, didn’t leave on a sour note. In fact, things between both parties are great. Coach Rob Sale and Mark Richt frequently contact Archer’s 4-star offensive lineman. Price has said that he feels like a wanted man in Athens. But would Price re-join a school that he already de-committed from? That remains to be seen, as he politely declined DawgNation’s interview request to ask about where his recruitment stands. We may have to wait until he publicly announces his commitment on Jan. 9 at the Army All-American game. Derrick Brown tweeted late Sunday night that he was going to switch up his official visit plans. Currently, the 5-star defensive tackle is supposed to take officials to UGA, Auburn, Tennessee, Alabama and Mississippi State. It would not surprise me if UGA and/or Auburn is replaced on this list, and if those schools were to be replaced, neither fan base should sweat it one bit. When he announces his commitment on National Signing Day in February, I strongly believe his decision will come down to both of those schools. Brown has been to both schools plenty of times now. There’s nothing left to see. And removing those two schools from his list gives him a chance to see schools that he can’t visit whenever he wants to. The Lanier High School star tells us when his new official visit plans are scheduled to be released right here. Grant Holloway is a wanted man in Athens. Holloway, a 3-star wide receiver from Virginia, was in Athens this weekend for an official visit, and just like everyone else who was at UGA this weekend, he loved it. 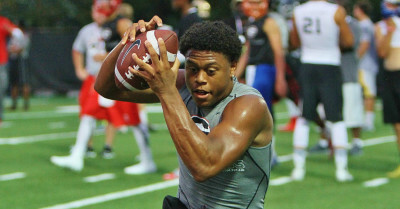 Holloway had a chance to speak with UGA coaches, and the message was heard loud and clear. “They know I can (make) a good impact on the field when I commit there,” Holloway said. Antwuan Jackson’s brother is South Carolina linebacker Bryson Allen-Williams, but that didn’t stop Jackson from saying he “loved” his UGA visit on Saturday. Jackson, a 4-star defensive tackle from Cedar Grove High School (Ga.), tweeted the final score and used the hashtag “#UGAfamily” in his tweet after his unofficial visit to UGA. Jackson is considering Auburn, Ohio State and UGA. He is not considering South Carolina. 9. 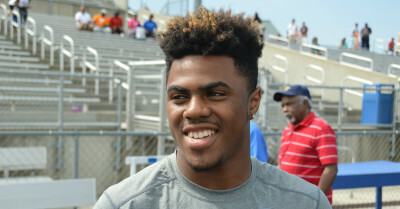 What did 4-star think of his first-ever UGA game? Landon Dickerson took an unofficial visit to UGA this weekend for his first-ever Bulldogs game. The wait was well worth it for him. Dickerson, a 4-star offensive lineman from Hudson, N.C., told DawgNation that he got a chance to speak with Mark Richt, Brian Schottenheimer and Rob Sale while he was on campus. What did the coaching staff tell him? Find out here. Since I started covering recruiting, Archer’s Jamyest Williams has been one of the most fun athletes to watch play. Williams stands at 5-foot-9 and weighs only 170 pounds, but he plays like he is 6-foot-9 and 300 pounds. He plays both running back and cornerback for his school. When he runs, he trucks over defenders. When he pursues offensive players on defense, Williams clotheslines players. The 4-star athlete was in attendance this weekend for the South Carolina game, and like other recruits, he left impressed. When he initially released his top 10 list, UGA was ranked ninth. Since then, the Bulldogs have rapidly climbed on his list and continue to do so. Here is where things stand with him now. Garett Bolles is one of the nation’s top junior college prospects, but his recruitment has taken a back seat because he recently got down on one knee to propose to the love of his life. Bolles, a 4-star offensive tackle from Snow College (Utah), proposed to his fiancee, Natalie Williams, back in June and the couple is set to get married in December. Despite his hectic schedule, Bolles took some time to speak with DawgNation to give us an update on where things stand with UGA. He addresses the UGA offensive line silent commitment news and names which coaches he speaks with almost on a weekly basis here. Chris Kirschner covers recruiting in the Southeast for DawgNation and the Atlanta Journal-Constitution. Follow him on Twitter for the latest on who’s on their way to play college football.